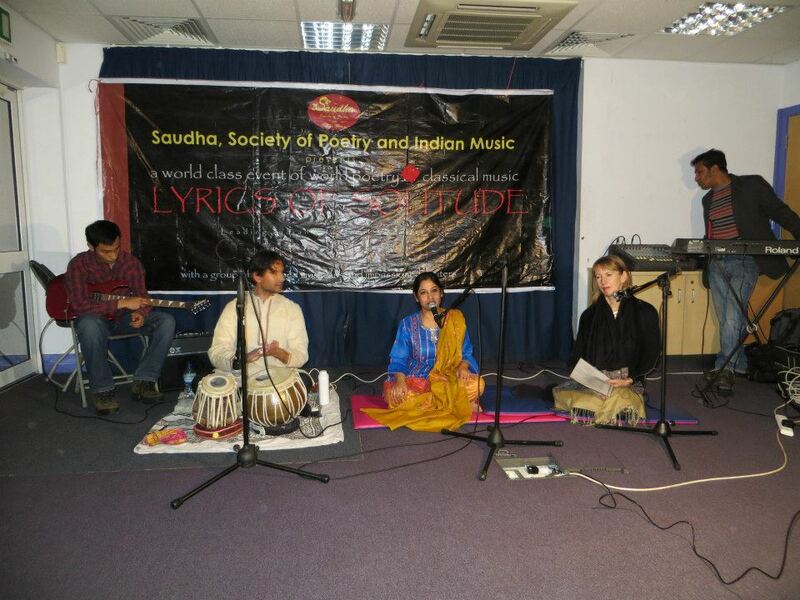 One of Saudha’s highly focused world-class event that was conceptually designed to intertwine melodious verses of world poetry with Indian classical music both vocal and instrumental. 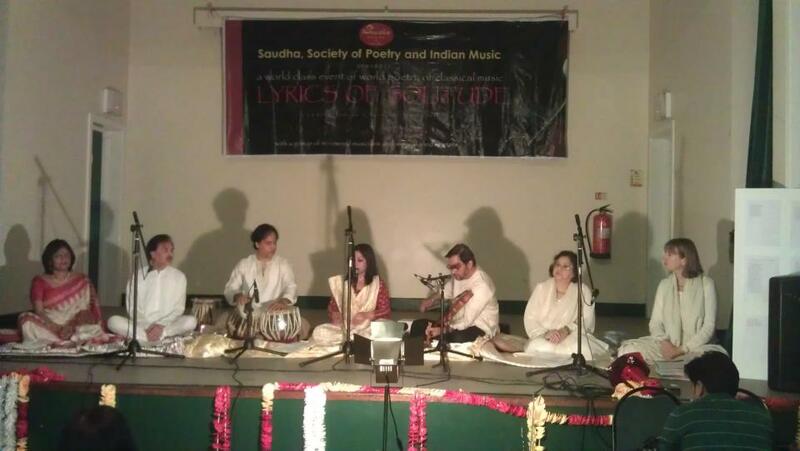 Translations from Persian and Mexican poetry along with the verses from Tagore,Ghalib, Taqi Mir in their original languages were set to the melodies of Indian classical i.e. 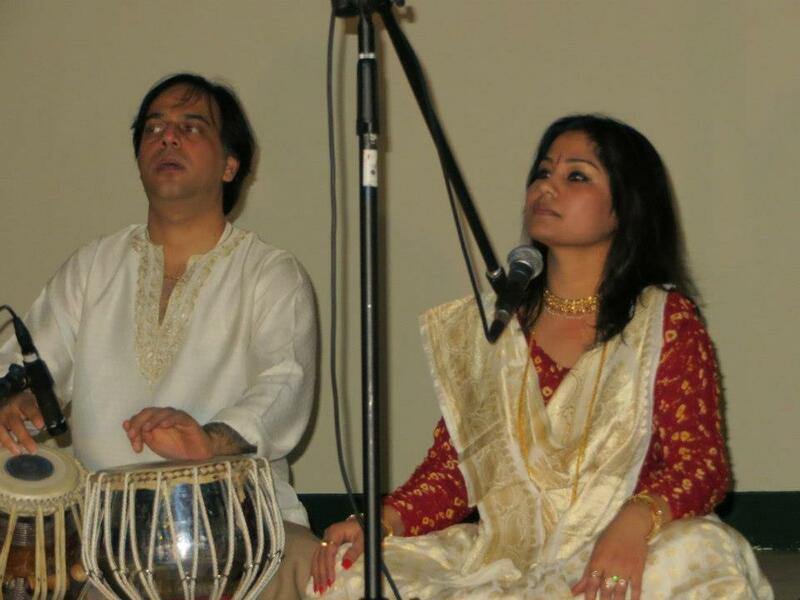 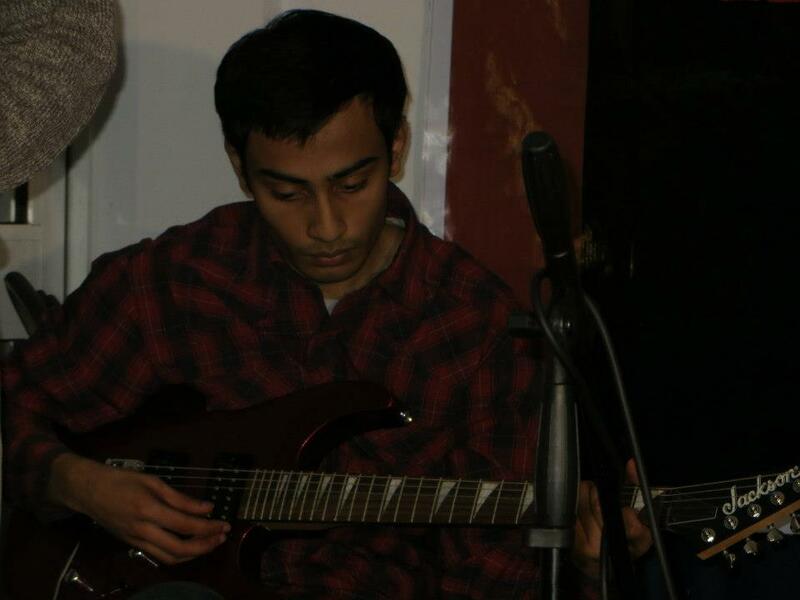 kheyal and thumri creating a colourful and serene ambience to transcend the audience into the universe of dream and illusion. 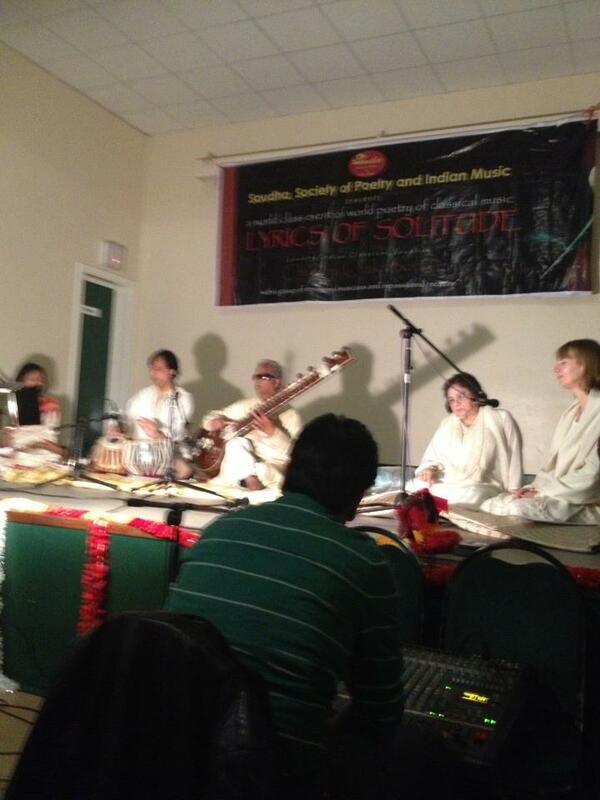 The leading sitarist Baluji Shrivastav and eminent violinist Kamalbir Nandra was accompanied by internationally acclaimed tabla player Sanju Sahai at the first session. 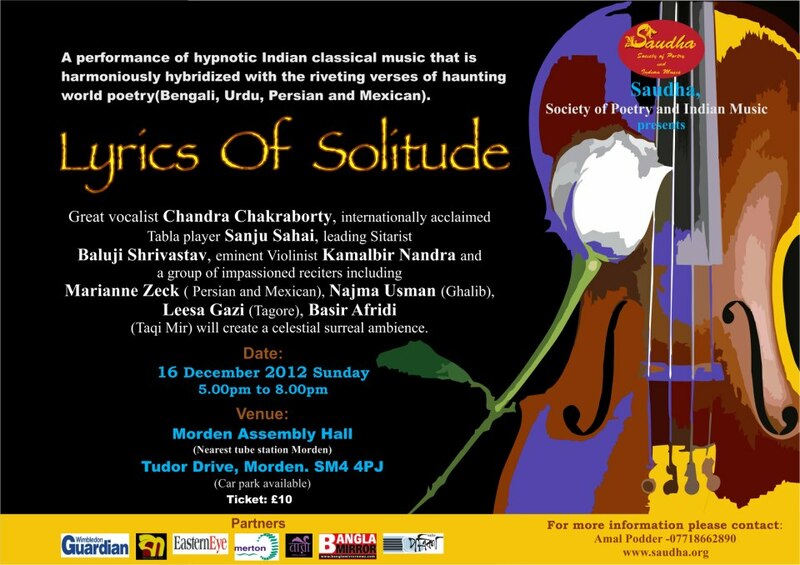 On the second half, Chandra Chakraborty, one of the finest Indian Classical vocalists literally radiated the emotion of pain and anguish through her divine voice, while she was accompanied by Tabla, Sitar and Violin and a group of impassioned reciters including Marrianne Zeck (Mexican and Persian translation), Najma Usman (Ghalib), Leesa Gazi (Tagore), Basir Afridi (Taqi Mir). 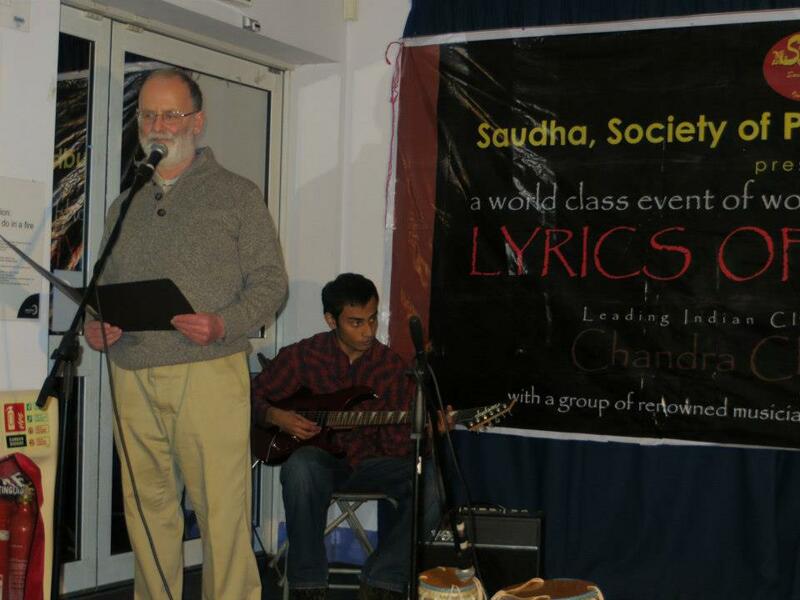 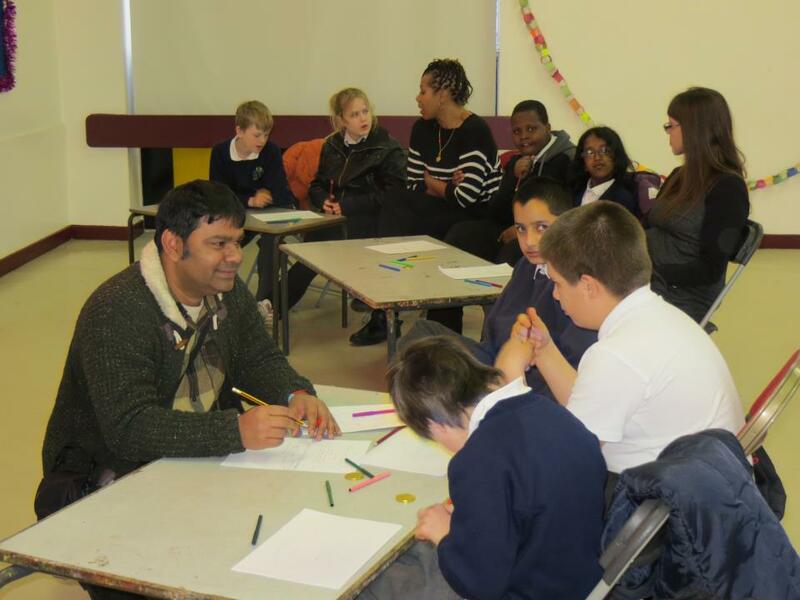 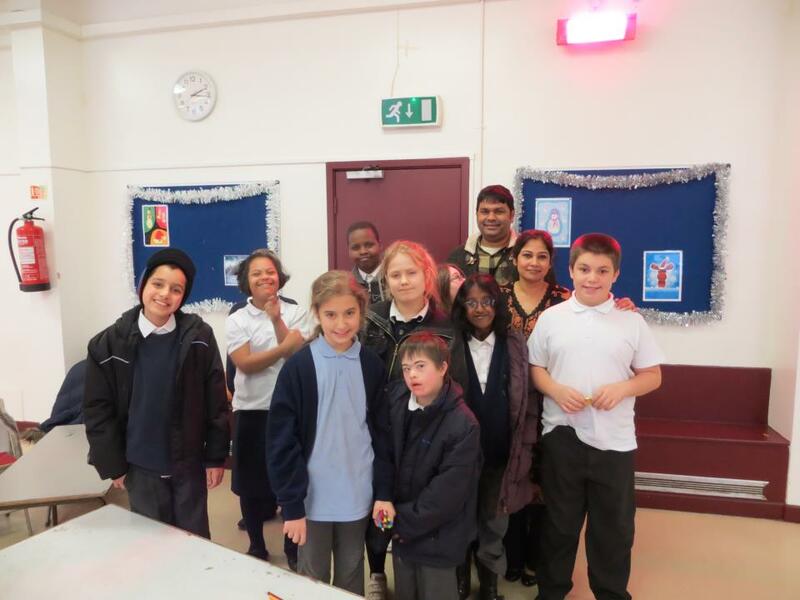 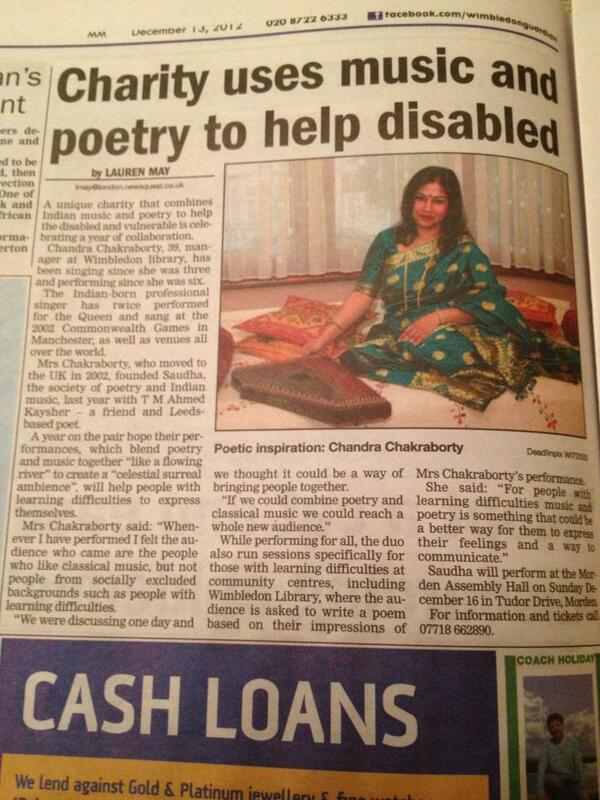 Saudha also worked with local poetry groups Write afresh, Merton Poets and the children with severe learning disabilities of Mitcham Cricket Green School that lead to a music and poetry performance on 12th January, 2013 at Raynes Park Library Hall, London Borough Of Merton. 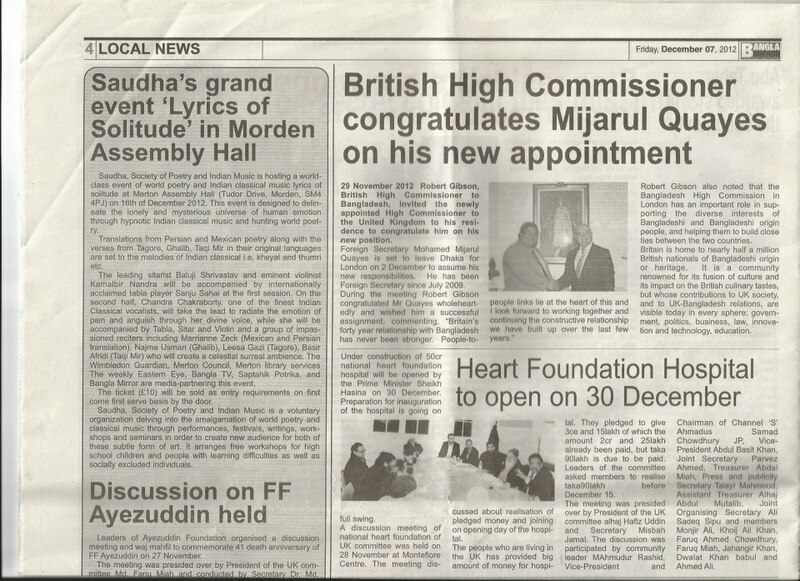 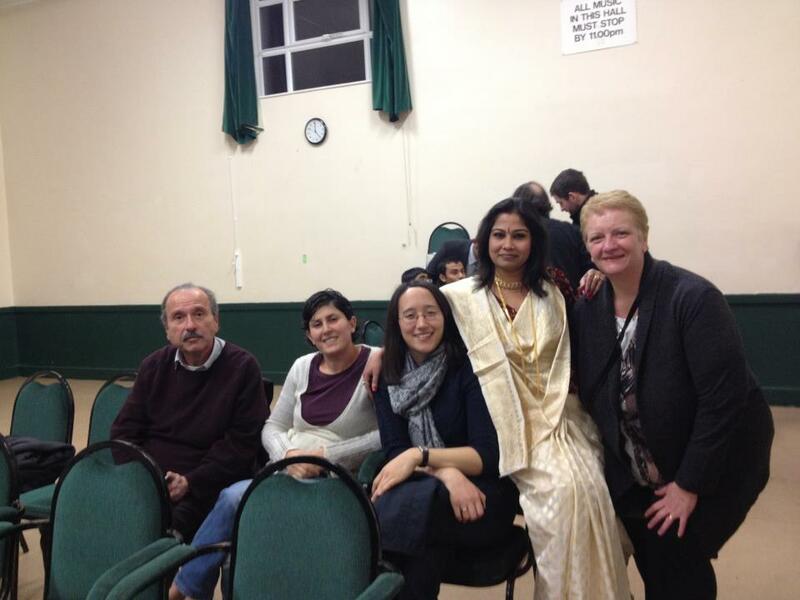 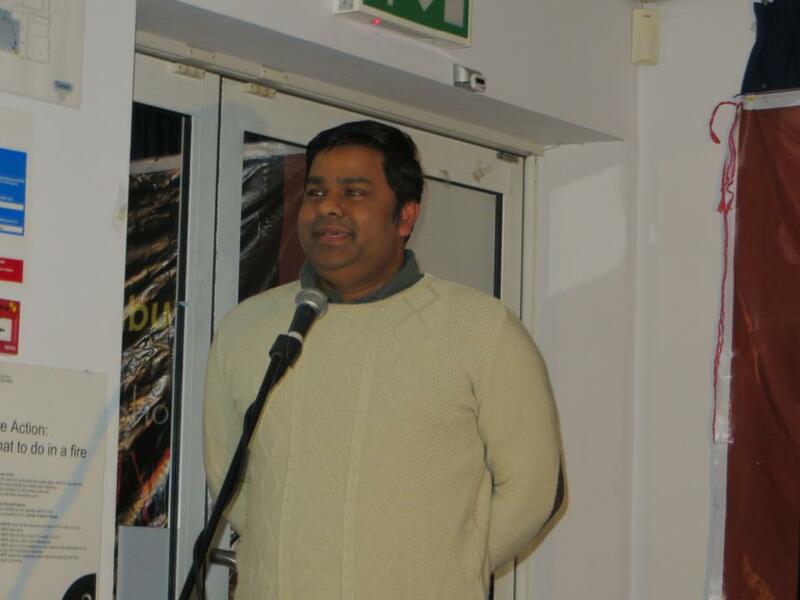 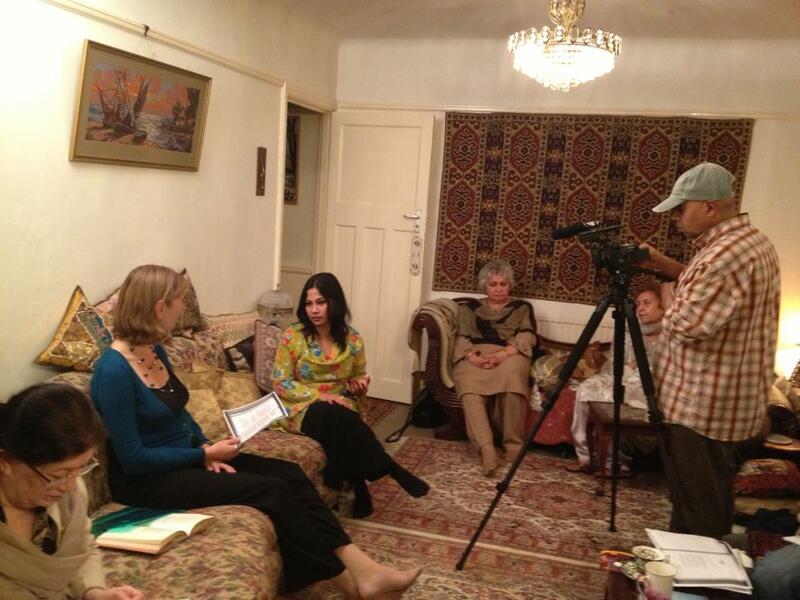 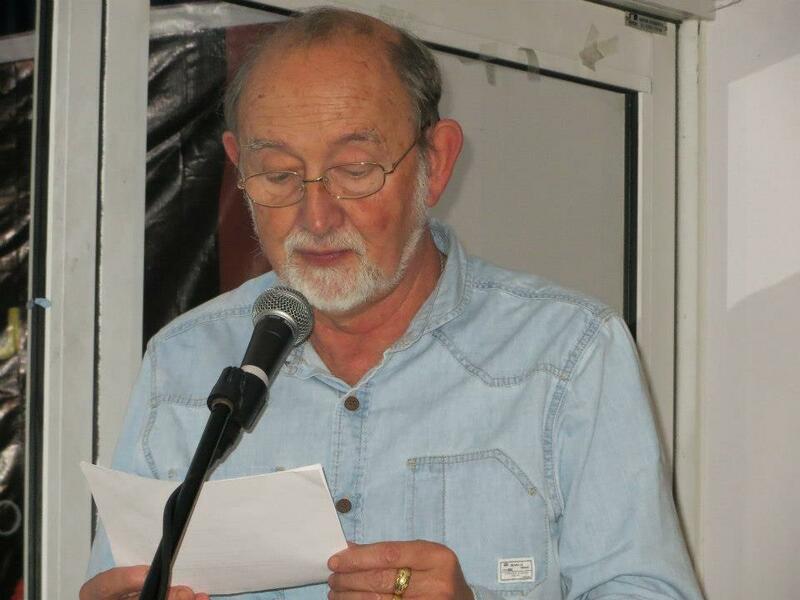 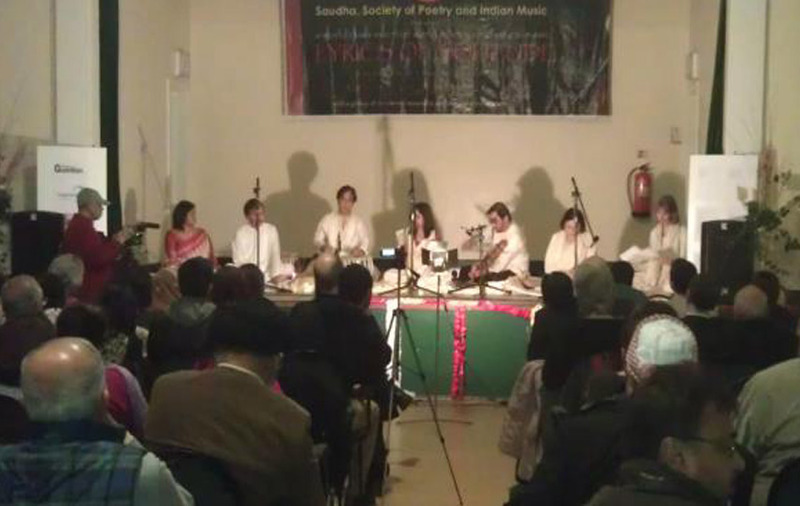 The event was supported by the Arts Council of London Borough Of Merton.